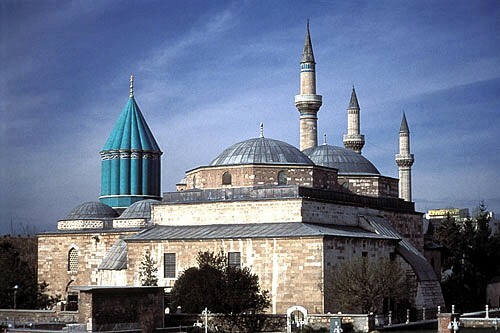 In addition to the shrine of Rumi, pilgrims to Konya will visit the shrine of Hazrat Shemsuddin of Tabriz (traditionally visited before the shrine of Rumi), the shrine of Sadreduddin Konevi (a disciple of Hazrat ibn Arabi and a contemporary of Mowlana), the shrine of Yusuf Atesh-Baz Veli, and the shrine of Tavus Baba (who may in fact have been a women and therefore Tavus Ana). Every year around December 07-17, the streets of Konya are decorated with images of whirling dervishes, the Islamic mystics who seek to commune with the infinite through ecstatic dance. From lampposts and bus shelters, they look beatifically down on the throngs bustling along cold streets. Imam Hussein (AS) was martyred while fighting oppression and in order to preserve his religion, he said, adding that one needs love and faith to be able to understand Ashura, Imam Hussein (AS) and Imam Ali (AS). Jalāl ad-Dīn Muḥammad Balkhī also known as Jalāl ad-Dīn Muḥammad Rūmī and popularly known as Mowlana was born in Balkh (then a city of Greater Khorasan in Persia, now part of Afghanistan), on September 30, 1207. His first name literally means Majesty of Religion, Jalal means majesty and din means religion. Rūmī is a descriptive name meaning “the Roman” since he lived most of his life in an area called Rūm because it was once ruled by the Eastern Roman Empire. Mowlana’s Works are in Persian, so he is a part of Persian Culture. The family’s flight ended in 1226 in the Anatolian city of Konya —capital of the Seljuk Turkish sultanate of Rum. 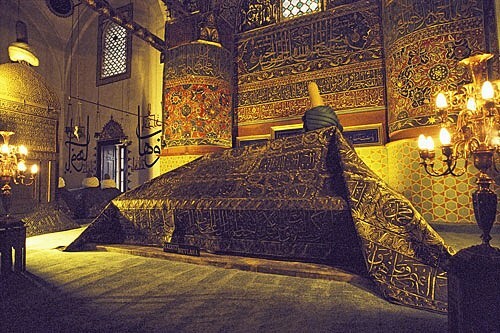 Rumi settled, taught, and composed here until his death in 1273. Although Konya’s sultans were forced to pay tribute to the Mongols in 1243, the city remained a safe haven for Islamic culture, gathering outstanding minds from far horizons in a tormented age. 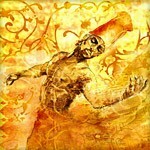 Rumi was sent to Aleppo (present day Syria) for advanced education and later to Damascus. He continued with his education till he was 40 years old, although on his father’s death Rumi succeeded him as a professor in the famous Madrasah at Konya at the age of about 24 years. He received his mystical training first at the hands of Syed Burhan al-Din and later he was trained by Shams-e Tabrizi. He became famous for his mystical insight, his religious knowledge and as a Persian poet. 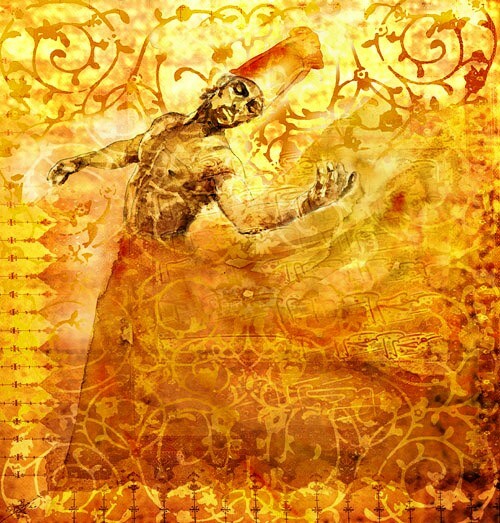 Rumi taught a large number of pupils at his Madrasah and also himself founded the Molavi Order of Dervishes in Tasawwof (Sufism) and instituted the ecstatic dance ritual for which the “whirling dervishes” are known to this day. He died in 1273 CE at Konya (present day Turkey), which subsequently became a sacred place for dancing dervishes of the Mowlana Order. As a genius theologian, a brilliant scholar, and a pillar of Islam, he followed in his father place until his spiritual friend and teacher, Shams of Tabriz appeared in his life. With appearance of Shams, Rumi became reborn and soon started his marvelous work “Masnavi,” (Mathnawi) consisting of 24,000 verses at age 38. His other famous work is “Divan-e Shams-e Tabriz” (the collective poems of Shams of Tabriz). Rumi’s poetry has a mystic connotation, a combination that is the universal language of the human soul. Rumi’s title is Mowlana which means our master. Rumi’s works are written in the New Persian language. A Persian literary renaissance (in the 8th/9th century) started in regions of Sistan, Khorāsān and Transoxiana and by the 10th/11th century, it reinforced the Persian language as the preferred literary and cultural language in the Persian Islamic world. 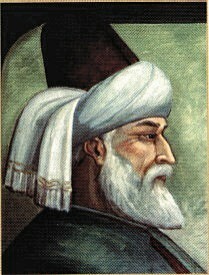 Rumi’s importance is considered to transcend national and ethnic borders. His original works are widely read in their original language across the Persian-speaking world. His major contribution lies in Islamic philosophy and Tasawwof (Sufism). This was embodied largely in poetry, especially through his famous Masnavi. This book, the largest mystical exposition in verse, discusses and offers solutions to many complicated problems in metaphysics, religion, ethics, mysticism, etc. Fundamentally, the Masnavi highlights the various hidden aspects of Sufism and their relationship with the worldly life. For this, Rumi draws on a variety of subjects and derives numerous examples from everyday life. His main subject is the relationship between man and God on the one hand, and between man and man, on the other. He apparently believed in Pantheism and portrayed the various stages of man’s evolution in his journey towards the Ultimate. Apart from the Masnavi, he also wrote his Divan (collection of poems) and Fihe-Ma-Fih (a collection of mystical sayings). However, it is the Masnavi itself that has largely transmitted Rumi’s message. Soon after its completion, other scholars started writing detailed commentaries on it, in order to interpret its rich propositions on Tasawwof (Sufism), Metaphysics and Ethics. Several commentaries in different languages have been written since then. Rumi’s other major work is the Diwan-e Shams-e Tabriz-i (The Works of Shams of Tabriz – named in honor of Rumi’s great friend and inspiration, the darvish Shams), comprising some 40,000 verses. Several reasons have been offered for Rumi’s decision to name his masterpiece after Shams. Some argue that since Rumi would not have been a poet without Shams, it is apt that the collection be named after him. Others have suggested that at the end, Rumi became Shams, hence the collection is truly of Shams speaking through Rumi. Both works are among the most significant in all of Persian literature. 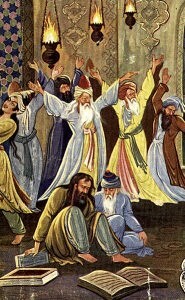 Shams is believed to have been murdered by disciples of Rumi who were jealous of his relationship with Shams. Rumi’s poetry has been translated into many languages, his work is well known throughout the world. 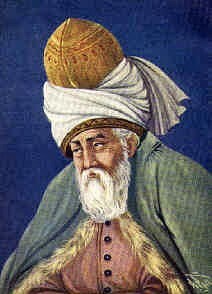 Rumi was the founder of the Mowlavi Darvish Order, also known as the whirling darvishes. The Mowlavi order is based in Konya and have a traveling group of musicians and whirlers that perform all over the world. 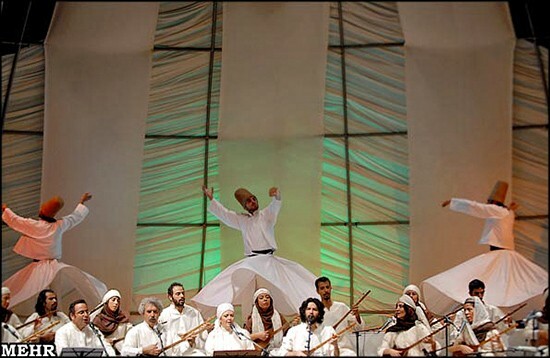 Experiencing the whirling dervishes and musicians is a wonderful experience. It is often said that the teachings of Rumi are ecumenical in nature. For Rumi, religion was mostly a personal experience and not limited to logical arguments or perceptions of the senses. Creative love, or the urge to rejoin the spirit to divinity, was the goal towards which everything moves. The dignity of life, in particular human life (which is conscious of its divine origin and goal), was important. However, despite the aforementioned ecumenical attitude, and contrary to his contemporary portrayal in the West as a proponent of non-denominational spirituality, a select number of Rumi poems suggest the importance of outward religious observance, the primacy of the Qur’an. One of the greatest living authorities on Rûmî in Persia today, Hâdî Hâ’irî, has shown in an unpublished work that some 6,000 verses of the Dîwân and the Mathnawî are practically direct translations of Qur’ânic verses into Persian poetry. His impact on philosophy, literature, mysticism and culture, has been so deep throughout Central Asia and most Islamic countries that almost all religious scholars, mystics, philosophers, sociologists and others have referred to his verses during all these centuries, since his death. Most difficult problems in these areas seem to get simplified in the light of his references. His message seems to have inspired most of the intellectuals in Central Asia and adjoining areas since his time, and scholars like Alama Iqbal Lahori have further developed Rumi’s concepts. The Masnavi became known as the interpretation of the Quran in the Pahlavi language. He is one of the few intellectuals and mystics whose views have so profoundly affected the world-view in its higher perspective in large parts of the Islamic World. 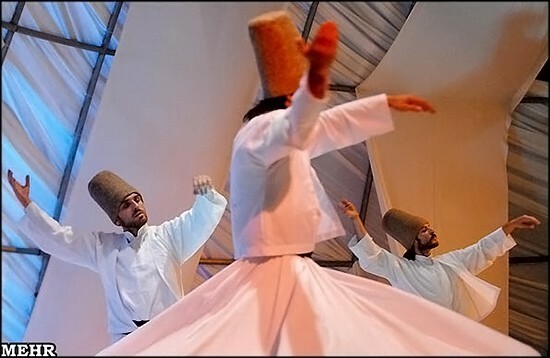 Sufi whirling (or Sufi spinning), is a physically active meditation which originated among Sufis, and which is still practiced by the Sufi Dervishes of the Mowlavi order. 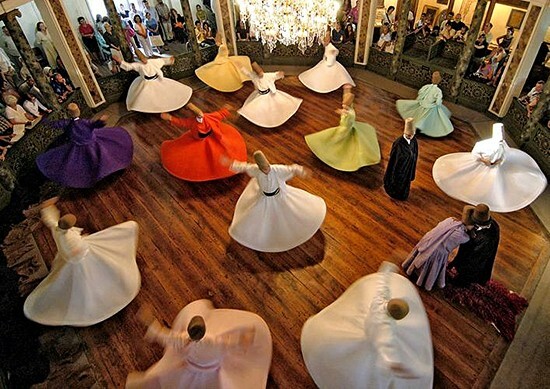 It is a customary dance performed within the Sema, or worship ceremony, through which dervishes (also called semazens) aim to reach the source of all perfection, or kemal. In the symbolism of the Sema ritual, the semazen’s camel’s hair hat (sikke) represents the tombstone of the ego; his wide, white skirt represents the ego’s shroud. By removing his black cloak, he is spiritually reborn to the truth. At the beginning of the Sema, by holding his arms crosswise, the semazen appears to represent the number one, thus testifying to God’s unity. While whirling, his arms are open: his right arm is directed to the sky, ready to receive God’s beneficence; his left hand, upon which his eyes are fastened, is turned toward the earth. The semazen conveys God’s spiritual gift to those who are witnessing the Sema. Revolving from right to left around the heart, the semazen embraces all humanity with love. Rumi’s poetry forms the basis of much classical Iranian and Afghan music (Eastern-Persian, Tajik-Hazara music). Contemporary classical interpretations of his poetry are made by Muhammad Reza Shajarian, Shahram Nazeri, Davood Azad (the three from Iran) and Ustad Mohammad Hashem Cheshti (Afghanistan). Today, Rumi’s legacy is expanding in the West as well through the work of translators and performers such as Shahram Shiva, who has been presenting bilingual Persian/English Rumi events in the US since 1993. To many modern Westerners, his teachings are one of the best introductions to the philosophy and practice of Sufism. Pakistan’s National Poet, Muhammad Iqbal, was also inspired by Rumi’s works and considered him to be his spiritual leader, addressing him as “Pir Rumi” in his poems (the honorific Pir literally means “old man”, but in the sufi/mystic context it means founder, master, or guide). 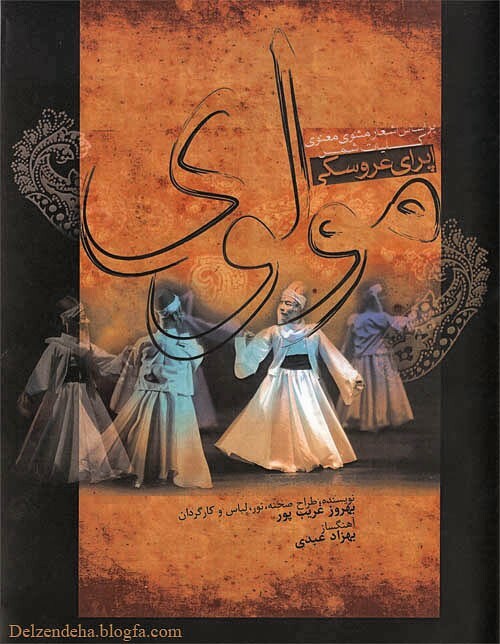 Rumi’s work has been translated into many of the world’s languages, including Russian, German, Urdu, Turkish, Arabic, Bengali, French, Italian, and Spanish, and is being presented in a growing number of formats, including concerts, workshops, readings, dance performances, and other artistic creations. The English interpretations of Rumi’s poetry by Coleman Barks have sold more than half a million copies worldwide, and Rumi is one of the most widely read poets in the United States. 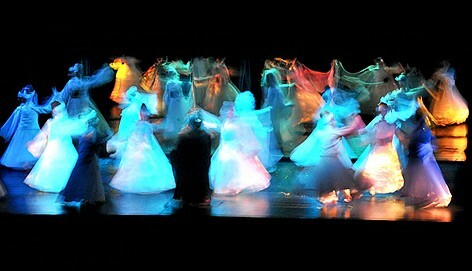 At the proposal of the Permanent Delegations of Afghanistan, Iran, and Turkey, and as approved by its Executive Board and General Conference in conformity with its mission of “constructing in the minds of men the defences of peace”, UNESCO was associated with the celebration, in 2007, of the eight hundredth anniversary of Rumi’s birth. The commemoration at UNESCO itself took place on 6 September 2007; UNESCO issued a medal in Rumi’s name in the hope that it would prove an encouragement to those who are engaged in research on and dissemination of Rumi’s ideas and ideals, which would, in turn, enhance the diffusion of the ideals of UNESCO. The Afghan Ministry of Culture and Youth established a national committee which organized an international seminar to celebrate the birth and life of the great ethical philosopher and world-renowned poet. This grand gathering of the intellectuals, diplomats, and followers of Maulana was held in Kabul and in Balkh, the Mowlana’s place of birth. On 30 September 2007, Iranian school bells were rung throughout the country in honor of Mowlana. 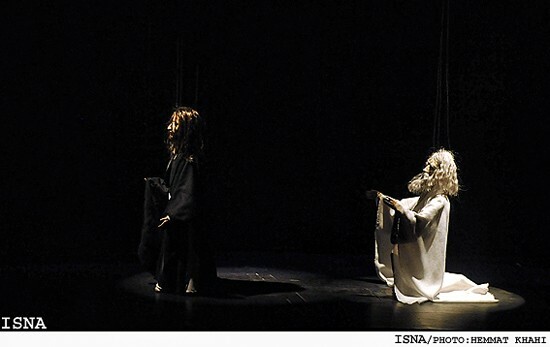 Also in that year, Iran held a Rumi Week from 26 October to 2 November. An international ceremony and conference were held in Tehran; the event was opened by the Iranian president and the chairman of the Iranian parliament. Scholars from twenty-nine countries attended the events, and 450 articles were presented at the conference. 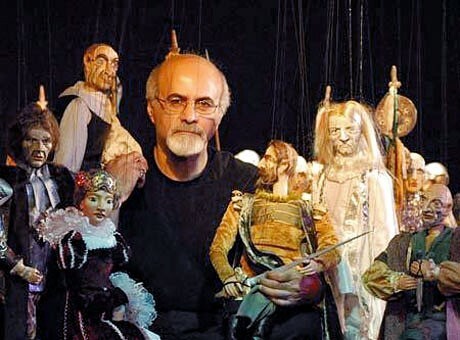 Iranian musician Shahram Nazeri was awarded the Légion d’honneur and Iran’s House of Music Award in 2007 for his renowned works on Rumi masterpieces. 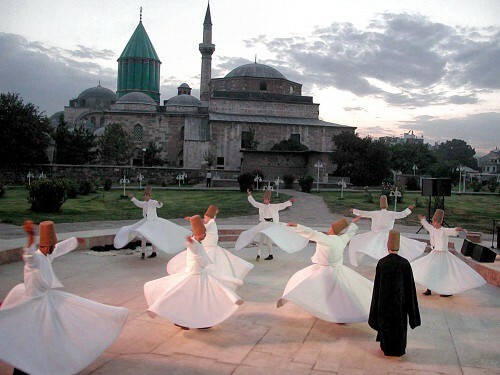 2007 was declared as the “International Rumi Year” by UNESCO. 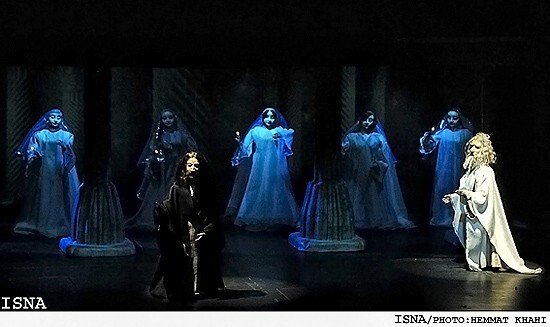 Shams Music Group conducted by Keikhosrow Pournazeri performed a concert to commemorate the well-known Iranian poet and mystic Mowlana Jalaleddin Rumi, in Sadabad Cultural complex as part of programs to mark 2007 which has been designated as ‘Mowlana Year’ by the UN cultural body, UNESCO. Pournazeri said that Mowlana’s personality and thoughts have drawn the attention of many artists throughout the world. 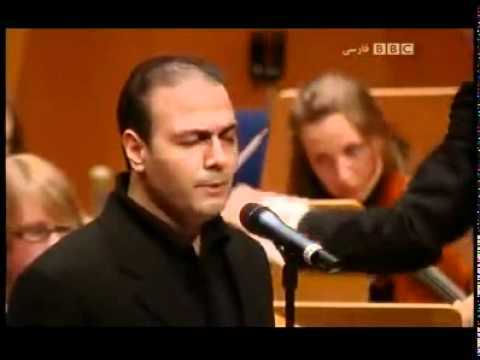 He further stated that Shams Group has used Mowlana’s poems in its performances in the past years and popular compositions were produced based on them. Commenting on the concert, he said that the program will be performed in two sections of traditional and tanbour music played to the accompaniment of lyrics from Mowlana’s poems. Tahmouras Pournazeri, who plays the tanbour, also said that in the tanbour section, pieces such as ‘For You’, ‘Owners’ and ‘Don’t Go That Way’ while the traditional section will feature pieces including ‘Orchestra and Song’ and ‘Cupbearer’. “After Iran, we will perform 10 programs in different states of the US from September 14,” he concluded. About Iran Review: Iran Review (www.iranreview.org) is the leading independent, non-governmental and non-partisan website – organization representing scientific and professional approaches towards Iran’s political, economic, social, religious, and cultural affairs, its foreign policy, and regional and international issues within the framework of analysis and articles.